Get a taste of French culture at the Choose France tour! 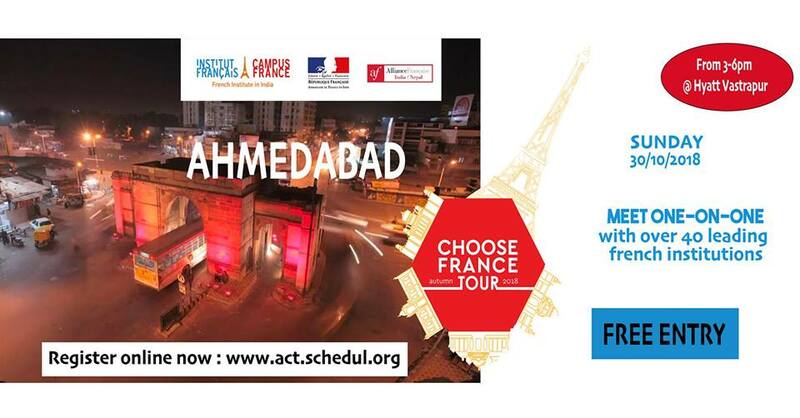 Campus France India and Institut français India are delighted to announce the CHOOSE FRANCE TOUR 2018! Come and meet one-on-one with over 40 leading French insitutions offering Bachelor’s, Master’s and PhD programmes in engineering, management, design, hospitality and more!